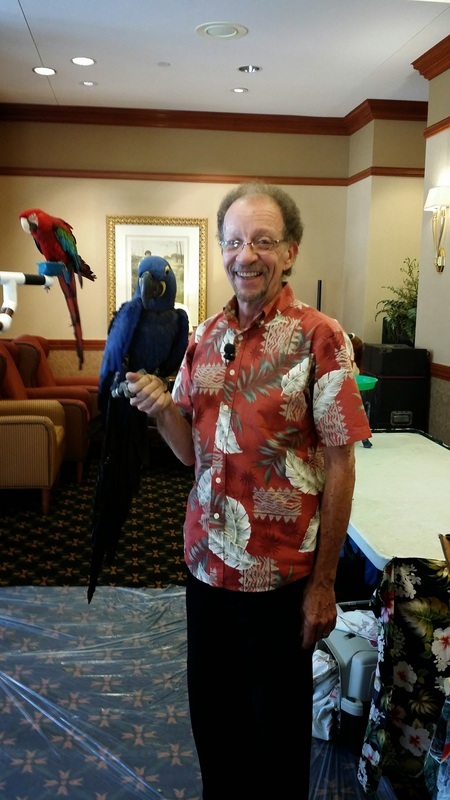 The Flock - That Guy with the Birds! 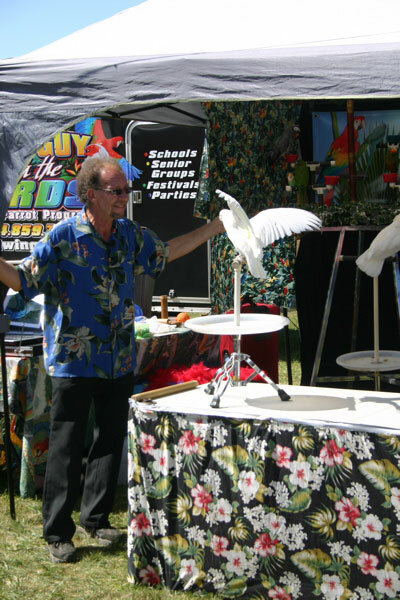 Here are just a few of our birds and a little bit of how they came to be with us! 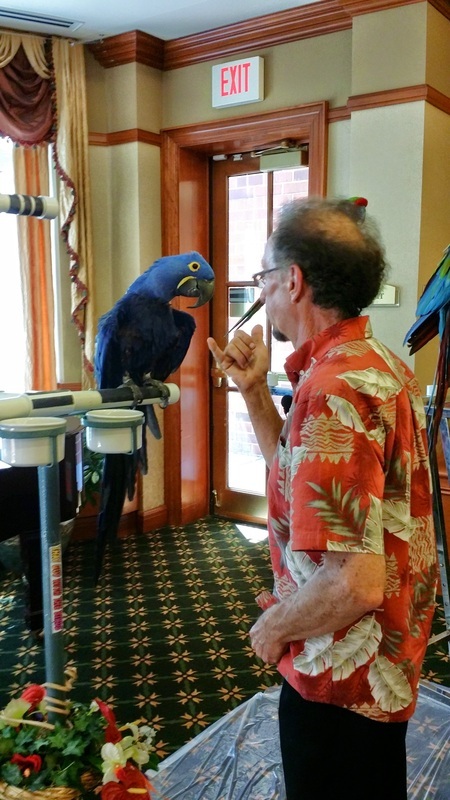 Becca, a Hyacinth Macaw, came to be with John from a confiscation because she was was not being properly cared for. She lived in deplorable conditions. Luckily , she was rescued by a wonderful couple who were a "Stepping Stone" until John could take her. 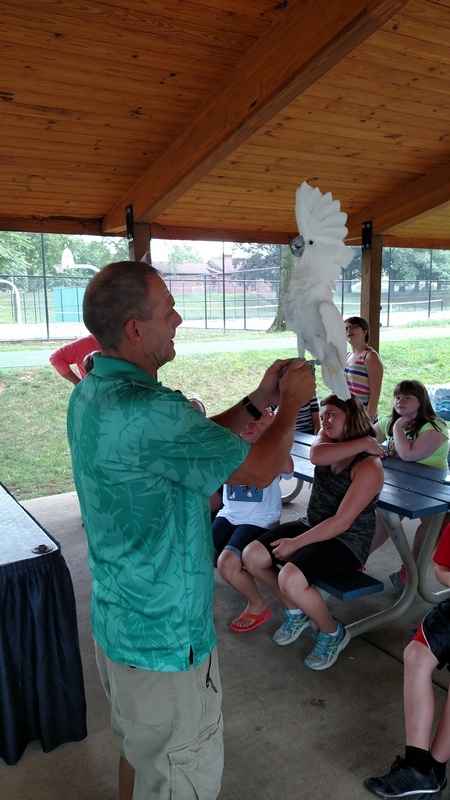 Her feathers needed care and she was underweight . John worked with her for a few months and she really came around allowing him to handle her! 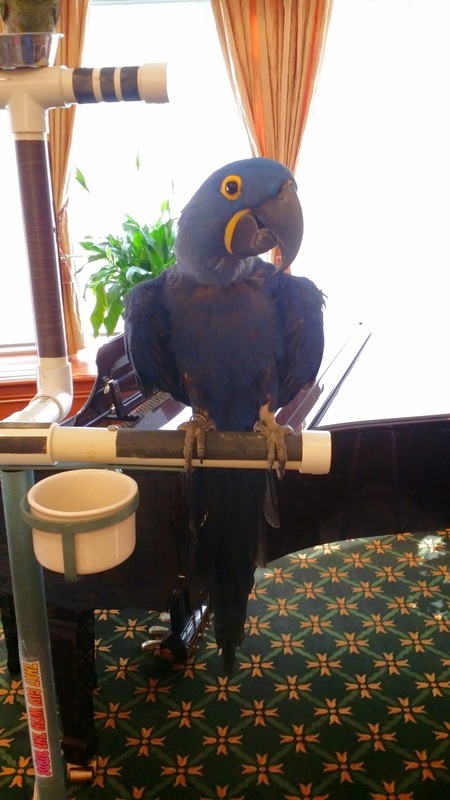 The pictures below are from Becca's debut to the public at the Devonshire of Mt Lebanon PA. Becca did great staying on her perch even though there was quite a bit of commotion going on. 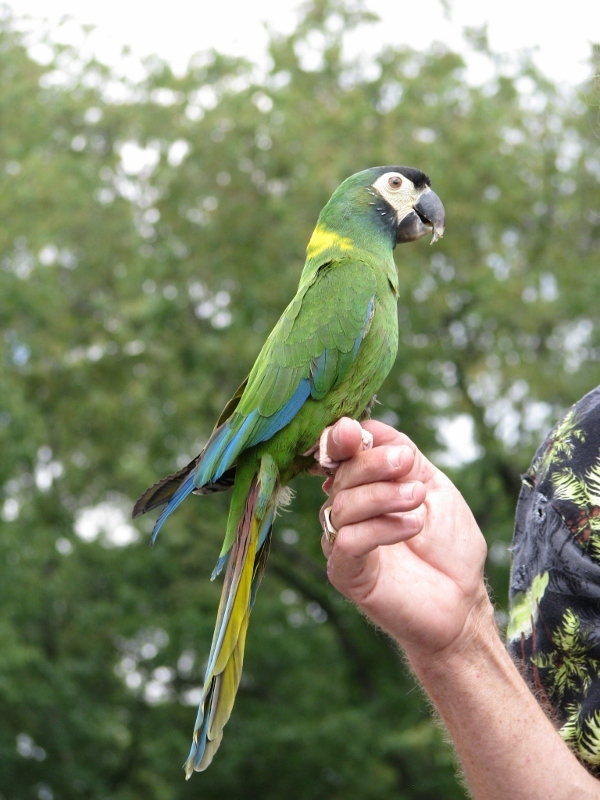 When it came time to introduce her and Hans to the crowd to show the Largest and smallest Macaws, she was perfect! Ken hopes to bring her to more and more events as her progress continues! Click here to watch her Debut to the public! 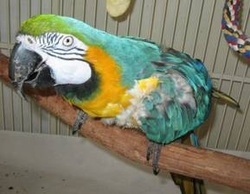 Beethoven is a Blue & Gold Macaw that lived many years in a shopping cart as his cage. 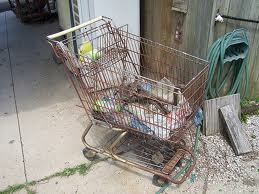 Beethoven was deemed insane by the vet after living in the shopping cart below for 11 years. He is doing much better now after many years of rehabilitation & Beethoven loves going shows! 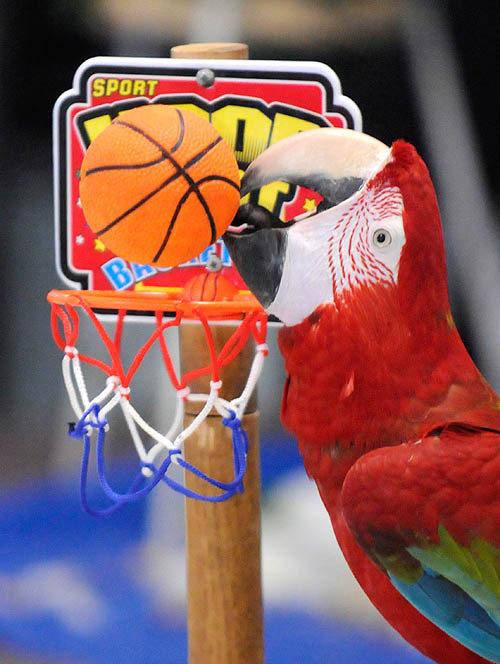 Louie doing a slam dunk! Come and see him play basketball--Play ring toss--and save his money for vacation. A crowd favorite! Loves to dance! 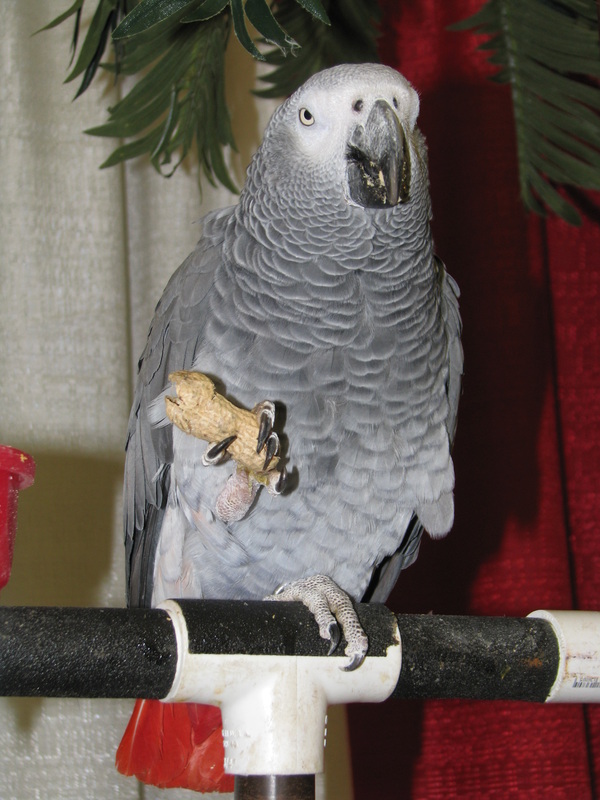 Stoney is an African Grey Congo and will teach you what it means to be a Parrot! Saraphina is a Corella Cockatoo or also known as a Bare Eyed Cockatoo. She just loves to dance to that old time Rock & Roll! Click here to see Saraphina dance to that Old Time Rock & Roll!